News: Microsoft has revealed an early version of an augmented reality headset called HoloLens that creates interactive holographic imagery in the wearer's field of vision (+ slideshow). 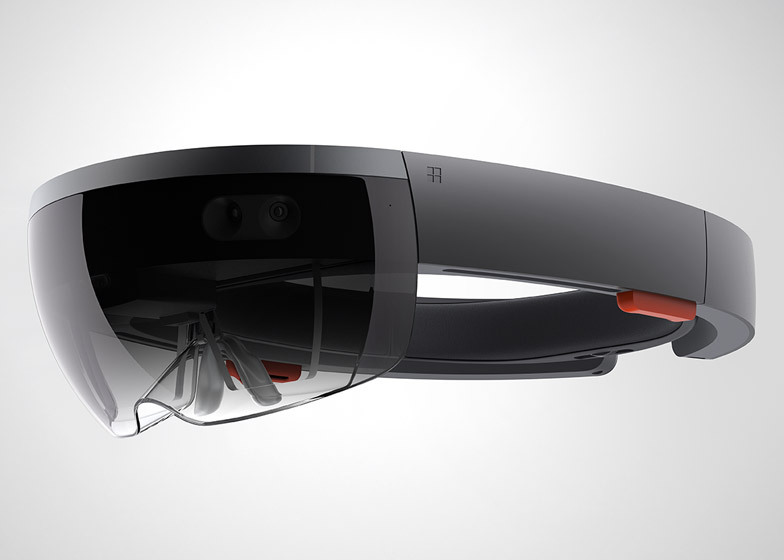 Shaped like a pair of chunky wraparound sunglasses, Microsoft HoloLens is a cordless headset with transparent lenses – intended to offer a mixed reality where digital objects are laid over the physical world. Rather than creating an entirely virtual universe, like the Oculus Rift headset, HoloLens will conjure high-definition digital holograms in existing spaces as if they are really there. 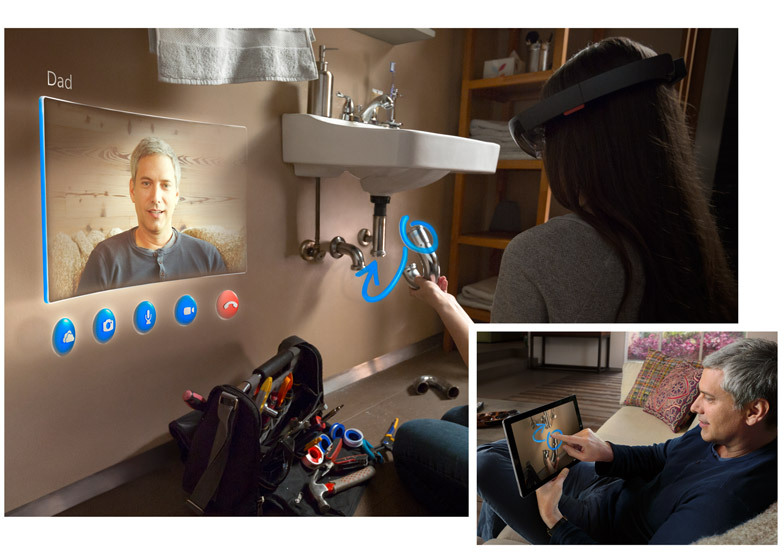 Unlike Google Glass, HoloLens promises to dress the real world with complex objects or menus that can be interacted with via motion-control technology, using points of the finger and other hand movements. Revealed yesterday at a special Windows 10 event in Redmond, Washington, where Microsoft is based, a concept video shows a kitchen adorned with interactive holographic displays typical of the tiles in the Windows 8 operating system. The demonstration shows a three-dimensional rendering of the tropical island of Maui displayed on a kitchen table accompanied by text floating overhead. Another section of the video presents imagery from popular video game Minecraft superimposed across the top of a table. 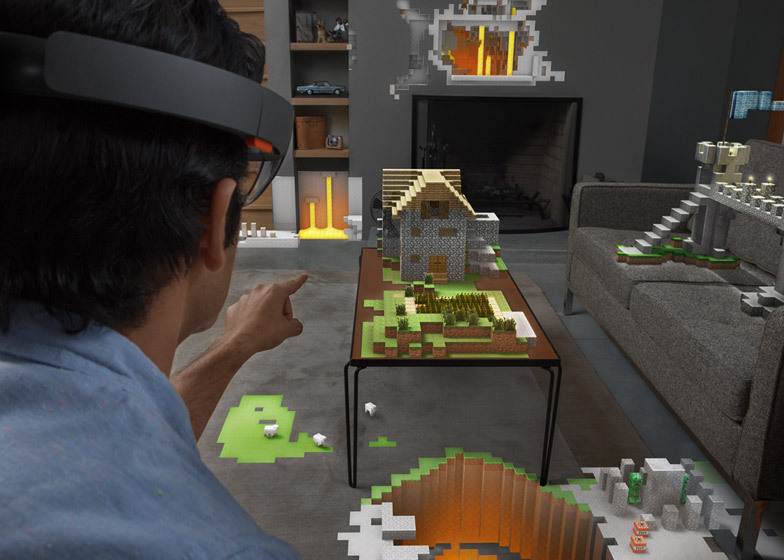 According to a statement on Microsoft's official HoloLens website, the designers envisioned a "world where technology could become more personal" and where "our digital lives would seamlessly connect with real life". Early demonstrations indicate that the development kit is in its infancy, but is a functional proof of concept. They also show that it's possible to collaborate with other people using the technology, for example enabling holographic visual cues to appear in real-time in the wearer's field of vision. 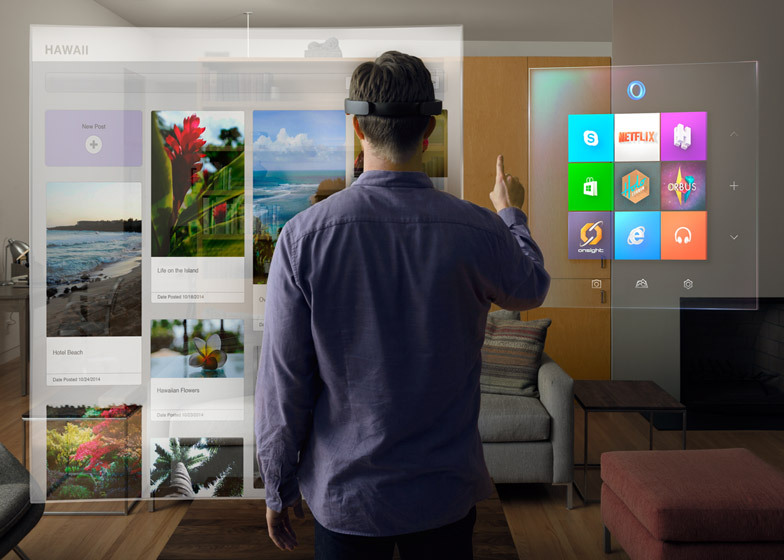 HoloLens will be a complementary device to Microsoft's Windows 10 operating system, which the company will offer as a free upgrade for Windows 7 and 8 users and will be released at some point in 2015. Although further details on the HoloLens are scarce at present, Microsoft has hinted the device should be released in Windows 10's "timeframe," the BBC reports. 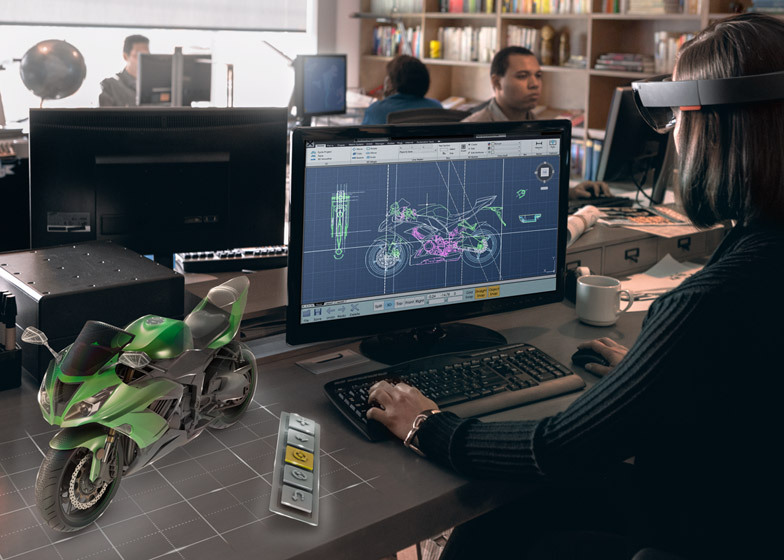 HoloLens marks a continuation of software company Microsoft's foray into hardware, which began with its entrance into the gaming market with the first Xbox console in 2001. The company recently revealed a separate concept that could transform enclosed spaces into augmented experiences, while another headset was designed to help sight-impaired people navigate the world using three-dimensional sound information.